PlayStation has released a new God of War gameplay trailer this month! The game is set to be out early in 2018. The first sneak-peak gameplay trailer was released in June 2016 (see below) showing a different dimension to Kratos and to the game itself. 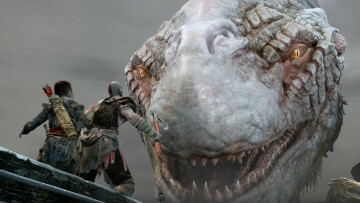 You can see and read more on the game at GodOfWar.com and at GamersRadar.com. Below is the first gameplay trailer, which was released in June 2016. Take a look if you haven’t seen it yet. Is EVERY problem on the planet, be it wordly, social or personal, caused by the “great illusion?” And are the One Light book(s) by Jon Whistler some of, if not, the most profound and important books ever written to explain this?